Manchester City will take to the field against Crystal Palace in a crucial Premier League tie on Sunday at the Selhurst Park stadium. League leaders Manchester City will look to solidify their top spot when they take to the field against Crystal Palace in the Premier League on Sunday. 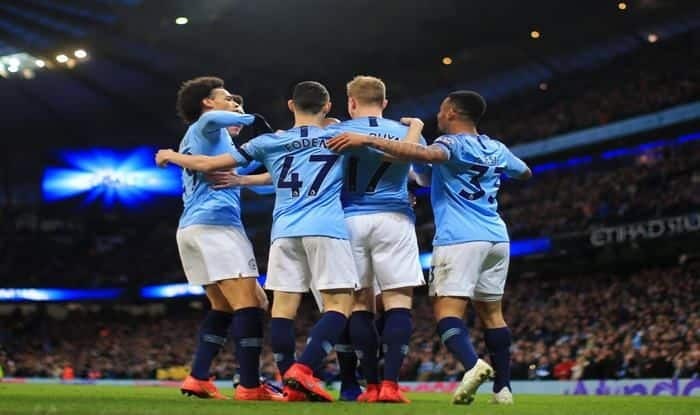 The Citizens will look to get back to winning ways after suffering a defeat against Tottenham Hotspur in the Champions League during midweek. A loss for the Pep Guardiola-led side would be a massive blow as they would potentially lose out on retaining the league title. Crystal Palace famously cost Liverpool the title in season 2014 when they registered a stunning comeback after going 3-0 down to level the match at full-time. It would be interesting to see if they become an obstacle to City’s title hopes this year. When will the Premier League match between Crystal Palace and Manchester City take place? The Premier League match will take place on 14th April at 6:35 PM IST, Sunday. Where will the Premier League match take place between Crystal Palace and Manchester City? The Premier League match between Crystal Palace and Manchester City will take place at Crystal Palace home stadium, the Selhurst Park in London. Which TV channel will broadcast the match between Crystal Palace and Manchester City? The Premier League match between Crystal Palace and Manchester United match will be aired on Star Sports Select. Where will the Crystal Palace and Manchester City match be available for live streaming? The Crystal Palace and Manchester City match in the Premier League will be available for live streaming on Hotstar and Jio TV.